You’re at a party. It’s at beautiful, old, huge house of a friend of a friend. You inquire with the host about the bathroom and he tells you where they are and suggests the one on the second floor as there are beautiful paintings in the hallway you might be interested in. As you step onto the second floor landing you see a distinguished man in a nice suit on one knee and he is looking through the keyhole of a door. 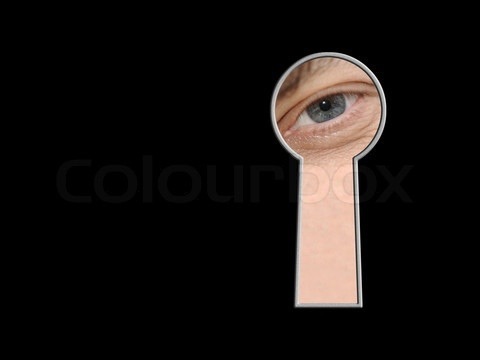 He glances up, sees you, smiles, nods and resumes looking through the keyhole. You are immediately appalled at his behavior. Is he actually doing something wrong? What if he knows something you do not? What if there is a beautiful work of art behind that door? Does he hear music playing? A baby crying? YOU don’t know what is behind that door. Where is it stated that looking through a keyhole is wrong or bad? Society deems it so. We spend a lot of time adhering to beliefs that certain things are wrong. I’m not talking about morally bad things or crimes against others, but just simple judgements that are falsely based. Trust your heart. You know what’s right.